Read a selection of customer reviews from our many happy customers. Check out our reviews on Facebook and Google! Highly recommend the driving school! 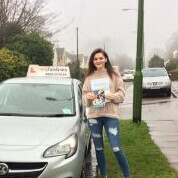 Celisha is a great instructor who ensures that you enjoy learning to drive and that you have all the knowledge and confidence to pass your test! Very happy with my choice to learn with Christine's and will be making sure to recommend to friends and family! 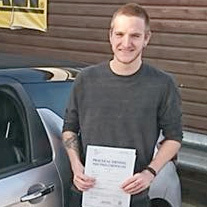 Congratulations Lee Marc Cherry on passing your driving test 1st time with just 3 minor faults! A great drive, well deserved! Brilliant driving school. Got me on the road in 4 months. Ask for Celisha to be your instructor. She's amazing... gave me coincidence and made me believe in myself! Taught me everything I needed to know and more. Very supportive and I've made a friend along the way. I never dreaded a lesson. She made it fun. Thankyou so much!!! 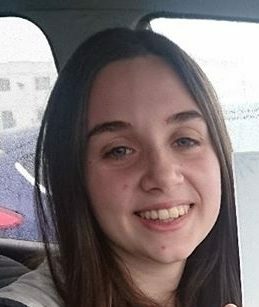 I had Emily as my driver Insructor, she is an amazing driver Insructor never got stressed when I went wrong. A lovely woman over all helped me with my theory gave me so much support, also gave me amazing amount of support when I was getting ready for my test. She helped me pass first time, and didn’t let me do anything I was happy to do or book my test when I wasn’t ready. Over all amazing and would recommend Emily to anyone who would like to drive! Passed first time, Ash was my instructor, good price and very good teacher! 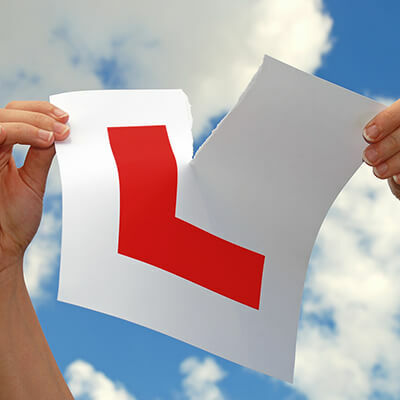 Would recommend to anyone looking to pass test first time! Would definitely recommend! Celisha was a great instructor. Made me feel good about myself when I drove and helped me with my confidence! 5 stars from me. 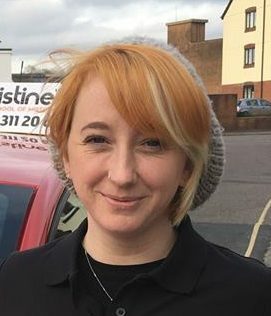 Would highly recommend Ashleigh jamieson, I was a nervous wreck when I started to learn again , she gave me so much confidence and has taught me a life changing skill. Has been a pleasure to have her as my driving instructor! 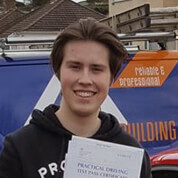 Another first time pass!! Huge congratulations to Laura Wragg who passed her driving test first time with only 5 minor faults! Ashley is a fantastic instructor, will recommend her to everyone! 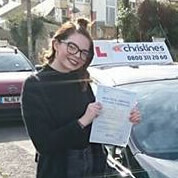 I did an intensive course with her and passed first time! I was very nervous to start with due to past instructors that weren't great. She made me feel at ease from start to finish, absolutely fantastic!! Huge congratulations to Abi who passed with only 2 minor faults. Another lovely review from Vaiva, who is camera shy - Well done Vaiva for passing your test! 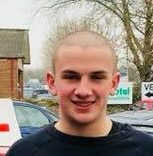 Vaiva said: I would like to thank your driving school, especially my instructor Michael Morris for helping me pass my driving test first time!!! I am still over the moon! thank you!!! Fantastic driving school! 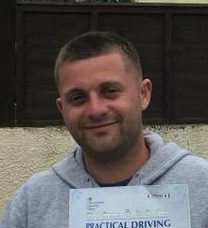 I had Jason as my instructor who was great from start to finish, very patient and a good teacher who made learning to drive stress free and enjoyable. Would definitely recommend to anyone, thank you Jason! 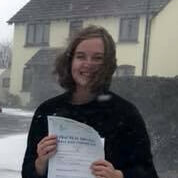 Congratulations to Katie who pushed aside the horrible weather and passed her driving test first time. Katie left us this lovely review on Google: I had the pleasure of being taught by Ashleigh. She was very patient with me and made me feel comfortable driving. I can’t thank her enough for getting me passed my test in just over a month of lessons. I can highly recommend her for anyone who feels a bit nervous!! 😃 Thank you again ash!!! 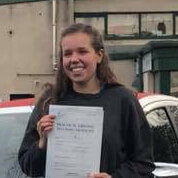 An awesome 1ST time PASS ON 28th Feb 2018 with ZERO minor faults for Ellie who drove so well despite the adverse weather conditions and so deserves it after all her hard work. 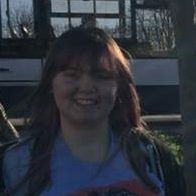 Ellie said: I was a very nervous learner and Christine helped me so much with my confidence with driving, resulting in me passing first time with 0 minors. Can’t recommend you enough, thank you so much. Congratulations to Belinda, who fought the nerves and passed her test with only a few minors! Belinda said 'I had Emily as my instructor and she was amazing! She is so so helpful and calming and wouldn’t have done it without her'! 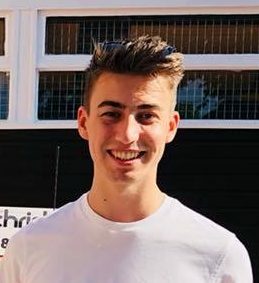 Just finished an intensive course with Ian who is a really good instructor... With his help passed first time and had many fun lessons to look back on would highly recommend!! This week has been up and down but I cannot thank Ian enough for his patience, dedication and understanding. Even when I made the same mistake 10 times in a row he maintained a calm attitude and kept going with me until we got it right. I’m so happy I went with Christine’s and am even happier to say I passed my test with them today. An awesome drive for Ellie resulted in a 1st time Pass with only 3 minor faults. Well done Ellie! Ellie said: Passed first time with Christine! Was very well prepared for my test and enjoyed my lessons. 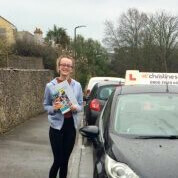 Superb drive as the examiner said from Lucy who passed 1st time with only 1 minor fault! Lucy said: Petra was amazing! A patient and caring instructor. Happy to teach you at the pace youre comfortable with but always helping you to do better than before. I was a very nervous person behind the wheel and she put me right at ease. Thanks so much Petra!! 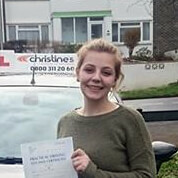 Congratulations Courtney on passing your driving test first time with just 4 minors! 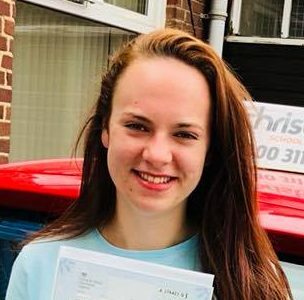 Courtney's review on facebook read: I was so nervous about starting lessons but Sarah was a fantastic instructor making every lesson enjoyable and stress-free, helping me to pass first time. I’d recommend her and the school to anyone thinking of learning to drive.